WOW! Thanks soooo much! Over $1700 in one is incredible. 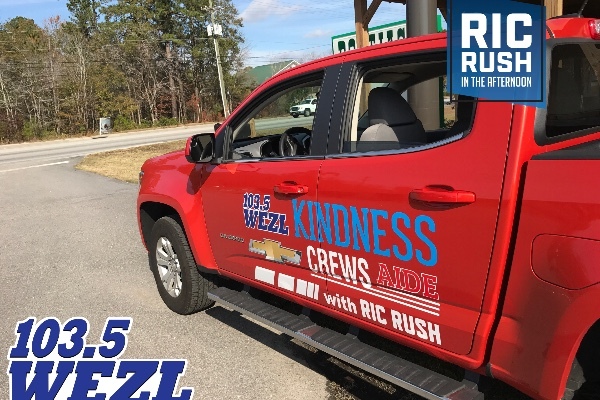 If you can help out my Kindness Crews-Aide with Crews Chevy, That would be awesome. No amount is too small...and if you can't give...your prayers are welcomed. With your help, we can spread a lot of Kindness in the Lowcountry. Some charity, some random acts, but always about making someone's day and paying the positivity forward. If you are tired of all the negative stuff out there, join me on my kindness crews-aide and, together, lets make a difference! Big things to come, please share with your friends. Merry Christmas Ric! This donation is made in your honor, to you... Seriously, you're a great guy, and I appreciate all of your hard work!